Obstructive Sleep Apnea (OSA) affects 18 million Americans. It occurs when the airway collapses during sleep and blocks the flow of oxygen to the brain. The brain senses a lack of oxygen and wakes the body up just long enough to take a breath, then falls back asleep. This cycle repeats throughout the night and causes poor, disruptive sleep. When left untreated, OSA can cause vehicle and workplace accidents, worsening mood and memory, stroke, heart attack, and even death. What is Inspire Sleep Apnea therapy? Dr. Doug Anderson now offers a new solution for obstructive sleep apnea called Inspire. Inspire therapy in Ogden works inside your body with your natural breathing process to treat sleep apnea. Mild stimulation keeps the airway open during sleep, allowing air to flow naturally. A patient uses a small handheld remote to turn Inspire on before bed and off when they wake up. No mask, no noise, no hose. 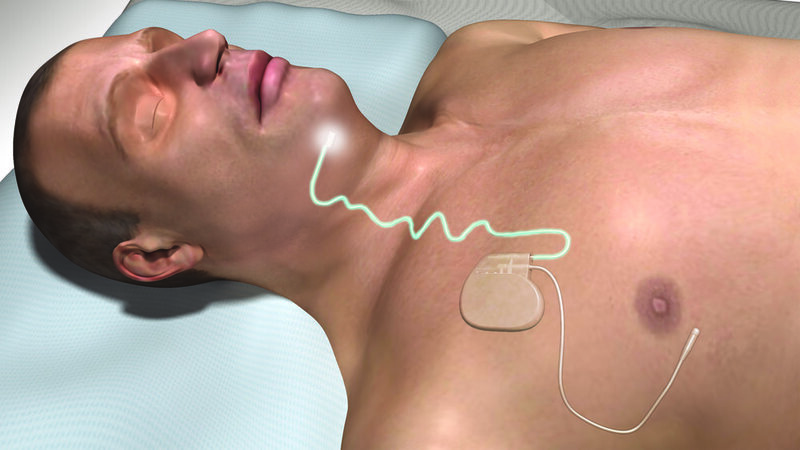 How is the Inspire Sleep Apnea device implanted? The Inspire system at Ogden Clinic is placed under the skin of the neck and chest through three small incisions during an outpatient procedure. Most patients return home the same day and take over-the-counter pain medications as needed. and significant improvements in quality of life measures, consistent with those seen in the STAR clinical trial.